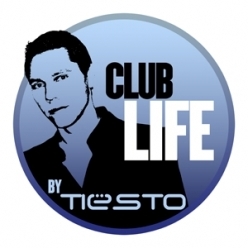 Tiësto’s Club Life is Tiësto’s weekly radio show of the broadcast is that one of the biggest radio stations in the Netherlands, Radio 538 The show began broadcasting, April 6, 2007, all Friday night, 10 am to midnight. The show was originally new club for the first five episodes, but it was renamed in the life of the club. wazz upp Tiesto from kuwait!! i love tiesto from buenos aires – argentina!!!!!!!!!!!! Greetings Tiesto!! How can I send you some promotional tracks?? Hi there!I’m from athens,greece and i’m a big fan of Tiesto..i made this blog this week and i was wondering how i can put some adv of yours to mine and the opposite(for free of course).please,if you like it contact me with e-mail..thanks! Hi I found your blog and I’m wondering if you would like to post your tiesto sets at my website. it was nice to find out that Tiesto’s club life are being maintained out here. but would love this even more if older releases could be put up for downloads like the ones when were out in the start like 01,02 and so..
One of the best ideas: publishing Clublife this way! how can contact with you dear tiestoclublife.wordpress.com adminstrator ? How can i listen to this livE? it can´t be more perfect than a set with house & trance, just the way i like, thinks tiesto. play is hard and play it right..
Wow. Tiesto, changing a lot..
well… anyway… u r sooo cooolll sir! The show has a lot of international listeners. So why is the show not broadcasted in English? I thought Dutch people speak both Dutch and English. The international podcasts are in English but his actual show on the radio is probably in dutch because its in the Netherlands. EL NUMERO UNO DJ TIESTO!!!!!!!!!!!!!!!!!!!!!!!!!!!! i don´t now how to poste, so i will poste it here, your podcasts are great but what about put the tracklist into the SongText in iTunes? Hi dear friend your blog is excellent I love Dj Tiesto musics especially (love comes again) please connect your blog to my weblog have a nice time. You are fantastic bro! You really know what is the MUSIC!!! How do you feel about what happened at the Love Parade in Duisburg? Your music is fantastic but nobody should have died that night…. Vi mando un link di un mio remix che credo in linea con il vostro sound. Mi piacerebbe sapere cosa ne pensate. Can’t wait til Electric Zoo. It’s gonna be my first trance concert, and you are gonna rock that place! Hello there Trudy Varanese here, I was looking for information on About Tiesto Club Life – amazing trance radio show. online. So fortunate enough of having found https://tiestoclublife.wordpress.com/about-2 to know about this advice. Spared myself lots of effort, thanks alot :). how many club life podcast does he have? there is 238 podcast release yet, but every monday there is another one, so stay tuned !! no ay palabras para decir lo que uno siente , al orí tan bella música . i believe the podcast only features the first hour, is there a way to get the second hour on the podcast? Thanks for some great musik. Hope to hear you in Stockholm soon. What played today (November 16, 2016) on Tiesto Club Life Radio? It was such a good mix!! !